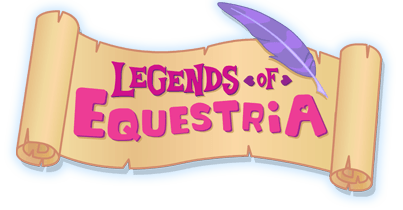 Legends of Equestria is Looking for Writers and Editors! Legends of Equestria is once again recruiting writers and editors! We have five open positions (three writing and two editing), and will be accepting applications until May 16th, 2016. If you are passionate about writing, interested in game development, or just want to help us drive LoE forward, please send a family-friendly, original writing sample of no more than 2,000 words to [email protected]. UPDATE: We are now closed for writing and editing applications. Thanks to everyone who sent in submissions! We will be reviewing them this week, and will contact the finalists on the 20th. Due to the amount of submissions received, will will not be able to give feedback to those who were not chosen, but we hope you keep trying, and wish you the best of luck! And if you still really want to help Legends of Equestria, feel free to take a look at our other open positions. We're constantly looking for fresh talent in these areas to help make Legends of Equestria the best it can be. Thanks so much, everypony, for your interest in helping Legends of Equestria! The Open Server Party has finished, and the servers are now closed. We want to thank PonyvilleFM and Equestria Daily for celebrating their anniversaries with us and, of course, we want to thank all of you for making this weekend so special! Have any moments you'd like to share with us? Post them on our forum, or send them to our Facebook, our Twitter, or our Tumblr, we'd love to hear from you! From everyone here at Legends of Equestria: thanks for playing, and we'll see you next time! It's finally time - the servers are open! Let the Open Server Party begin! What's all the hullaballoo about, you ask? Well, in honor of PonyvilleFM and Equestria Daily celebrating their 5th anniversaries, we're throwing them a party! Our servers will be open from now until 11 PM EST January 17th, and you can download the latest client here. For more details, check out the original announcement post here! Now, what are you waiting for? Equestria is waiting! Open Server Party Download Now Available! It's almost here! The Open Server Party starts at 9:00 AM EST, January 16th, 2016 (see the timer at the bottom of this post) and to make sure you can experience as much of the party as possible, here are the download links for the game client! Make sure to pick the right download for your operating system, but remember that you won't be able to log into the game until the servers are open, okay? Awesome! We've had some changes to our Windows launcher, so even if you downloaded during the last Open Server Event, you'll need to download it again. Downloads are no longer available, see you next time! If you're not on a Windows device, or prefer a direct download, we've got you covered! Please Note: Your browser might inform you that the file is malicious! Don't worry though, it's still safe! If you are using Google Chrome, it may try to block the download because Google Chrome is silly. To skip the filter, hit Ctrl-J to open your downloads window and click "Recover Malicious File"
Remember, like our other Open Server Events, character data and items collected in previous events won't carry over to the Open Server Party, and likewise they won't carry over from this event. That's it, thanks again for all of your support, and we'll see you this weekend in Equestria! Open Server Party Reminder and Changelog! I hope everyone's having a fantastic 2016 so far! We here at Legends of Equestria have been working diligently, squashing bugs and making everything nice and pretty for this weekend. That's right, we're only a few days away from our Open Server Party! If you're just joining us, here's a recap: our friends from PonyvilleFM are celebrating their 5th anniversary, so we decided to throw them a party! But what's a party without guests? We invited our friends from Equestria Daily who are also celebrating their 5th anniversary and, of course, all of you! So, starting at 9:00 AM EST January 16th, and running until 11:00 PM EST January 17th. Remember, we're holding a party here, not a test - so let loose, have fun, and enjoy! The link to download the latest version of the client will be available at 12:00 PM EST on January 15th. Make sure you download only the official client from our website! Can't handle the wait? We've got you covered. Check out our latest Changelog to discover the latest changes to the weird, wild, wacky, and wonderful world of Equestria, head on over to PonyvilleFM and get the hype train rolling with only the best in pony music, or check out some articles at one of the fandom's oldest news sites, Equestria Daily! Well, that's everything. Time to get back to work, there's still plenty to do to make sure everything is absolutely perfect. So, on behalf of PonyvilleFM, Equestria Daily, and Legends of Equestria - have a great week, and we'll see you at the party!